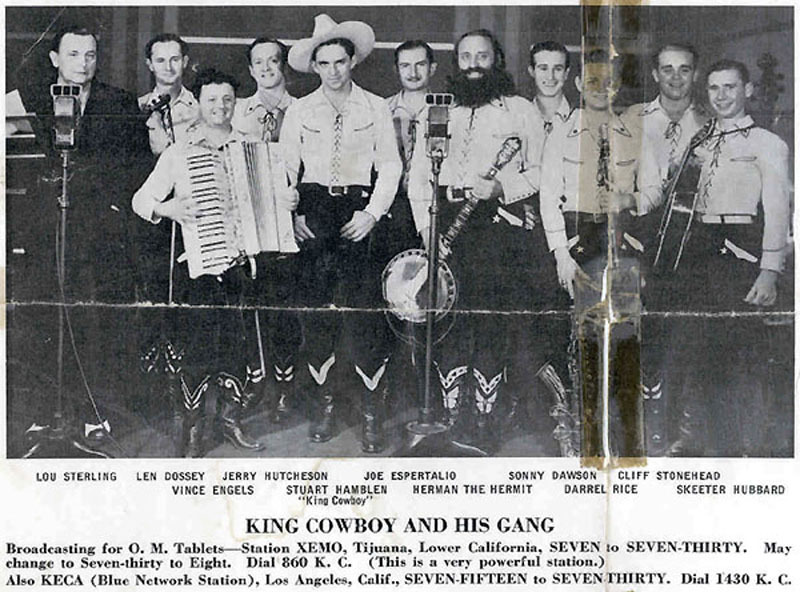 Cliffie Stone (as Cliff Stonehead) got a lucky break in the mid-1930s with Stuart Hamblen's band  King Cowboy and His Gang  thanks to Stone's father, the popular and whimsical banjo player Herman the Hermit. Photo courtesy of Vivian Sumner, daughter of Mary Warmuth Sathre of the Warmuth family in Sand Canyon, where Cliffie Stone also lived. Sumner writes: "This picture is from a song sheet owned by Mary Warmuth Sathre and and was taken in the late '30s. Mary used ear phones to listen to the radio on a crystal set made by one of her brothers."